Jason is a partner at our Minneapolis office, focusing primarily on complex cases involving individuals injured by defective drugs and faulty medical devices, advocating for clients both locally and nationally. 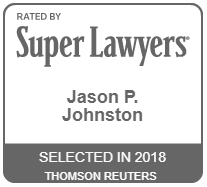 Jason’s personal engagement, resolute view of the law, and solid practice style make him a strong voice for his clients and an integral part of our firm. Member of the legal team in In re: Stryker Rejuvenate and ABG II Hip Implant Products Liability Litigation (MDL No. 2441). In 2014, a settlement was reached that is estimated to pay $1.4 billion to people injured by Stryker’s Rejuvenate and ABGII modular stems. Member of the Plaintiff Steering Committee in In re: Zimmer NexGen Knee Implant Products Liability Litigation (MDL No. 2272). Jason has actively been involved in taking depositions of key witnesses and working with medical experts. Member of the Science Committee in In re: Biomet M2a Magnum Hip Implant Products Liability Litigation (MDL No. 2391). Biomet agreed to a $56 million dollar settlement in 2014. Member of the class action legal team that secured a multi-million dollar settlement to compensate individuals who were victims of constitutional misconduct by law enforcement. Jason currently represents individuals injured by various hip replacement systems. Jason is also actively representing people who have been injured by IVC filters, St. Jude defibrillator battery depletions, and other medical devices. Jason is also part of the team that has filed lawsuits on behalf of people who experienced compulsive gambling problems while taking the drug Abilify. 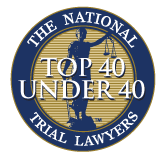 In the Stryker LFIT V40 MDL, Jason was recently appointed to the Plaintiffs’ Steering Committee. Jason is admitted to the state courts of Minnesota and U.S. District Court for the District of Minnesota.